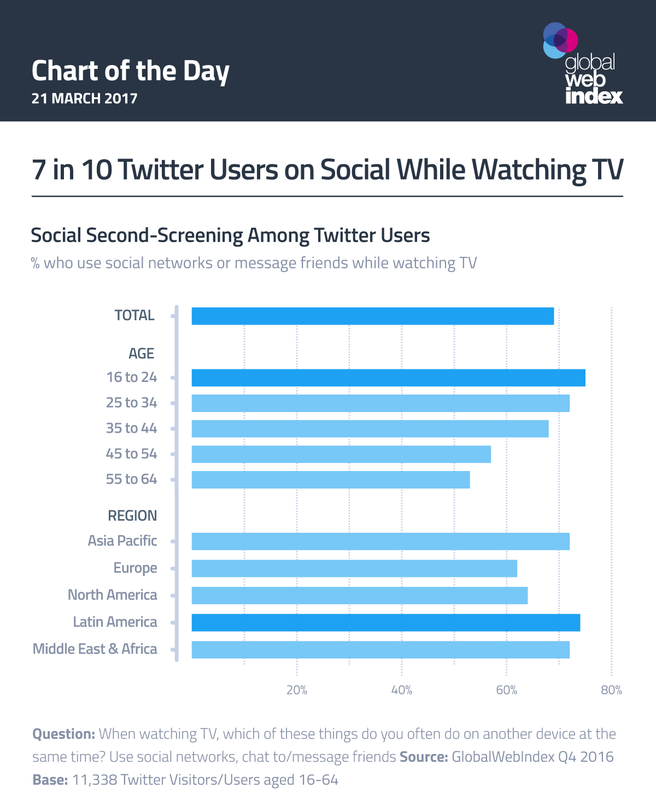 GlobalWebIndex have proven that Twitter users are in fact keen second-screeners. A survey of Twitter users between 16 to 64 shows that this fact is led by the younger generation, though it’s shockingly still half of 55 to 64 year old’s who are doing the same. With 70% of social media users using a second screen whilst watching TV, does this suggest we’re expert multi-taskers, or too distracted? 69% of the surveyed say that they are either using social network platforms or are messaging friends. Those in the region of Latin America lead the way in terms of second-screeners, with Asia Pacific and Middle East & Africa closely behind.